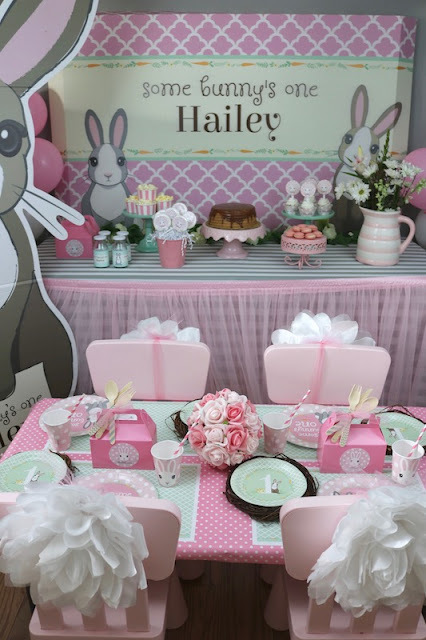 The Some Bunny’s One Tabletop is one of the many sweet themes that Shindigz offers on their site. 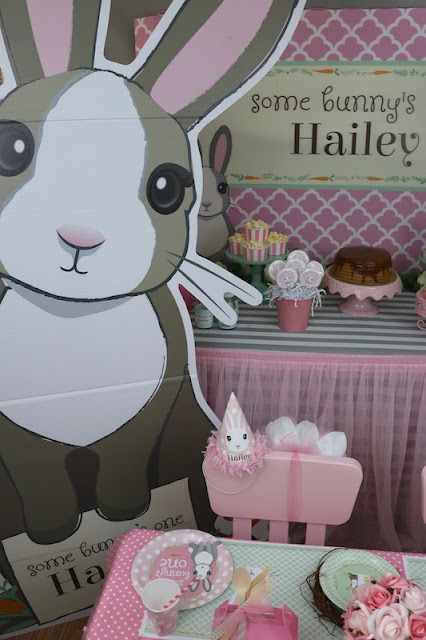 Our friends are celebrating their baby girl's first birthday, and we were happy to help! 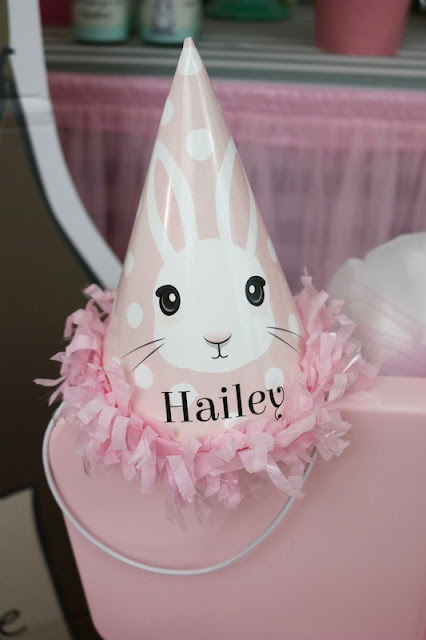 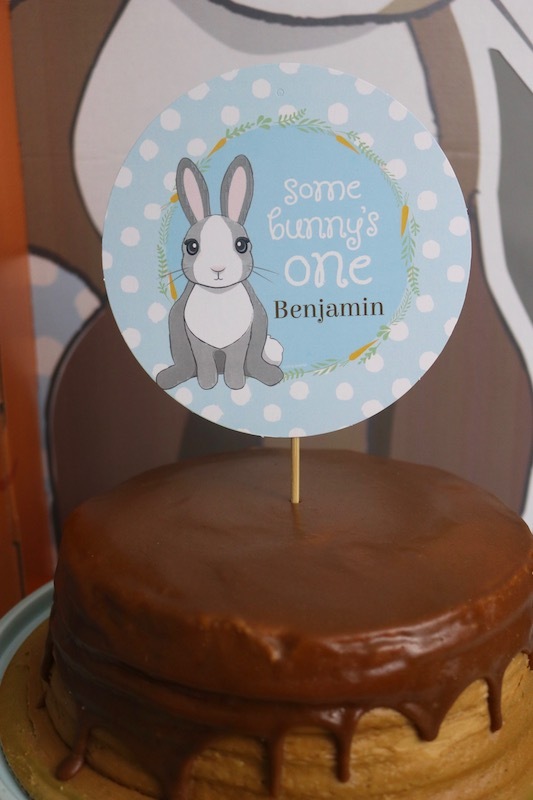 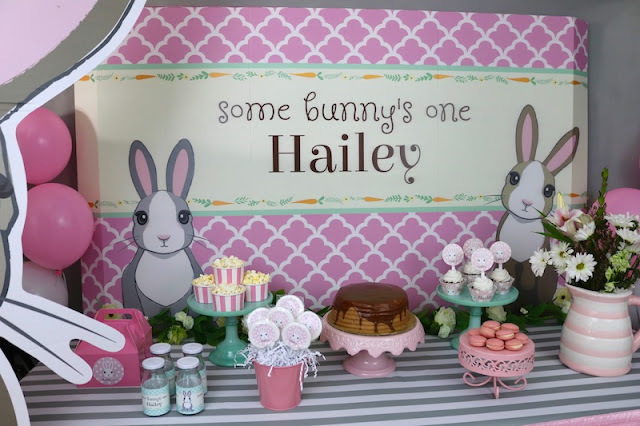 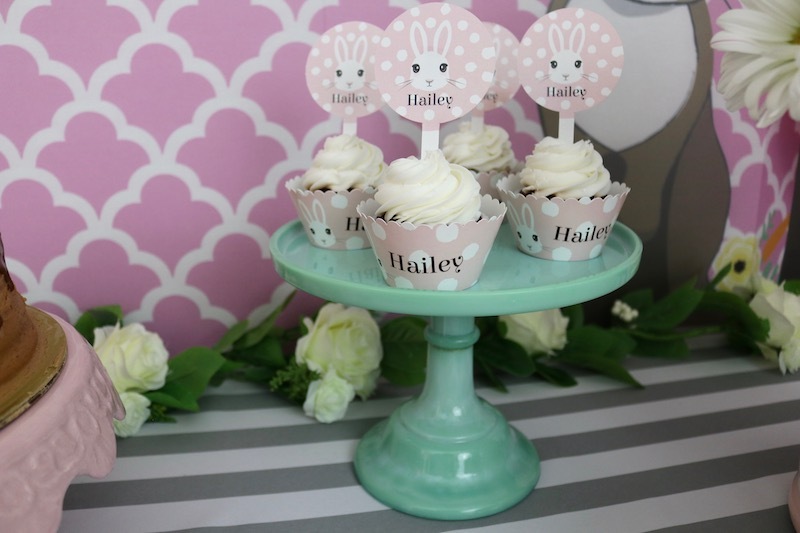 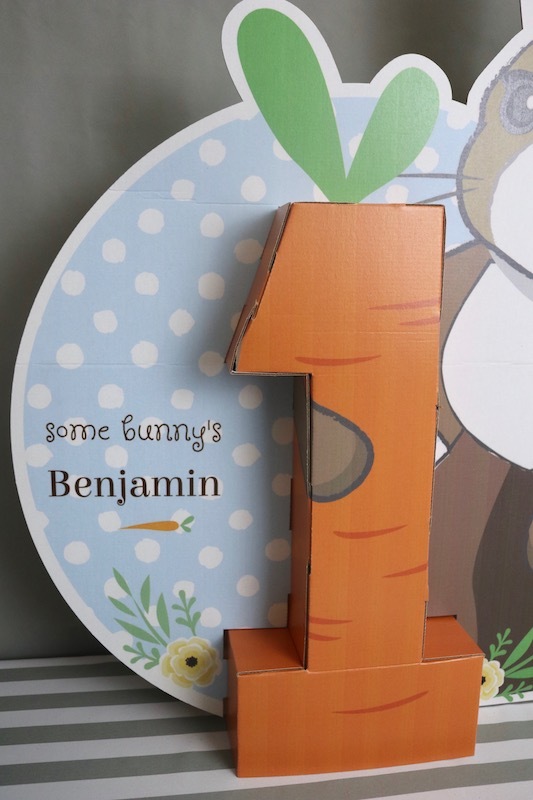 Welcome your guests to the party with a darling Some Bunny's One personalized yard sign. 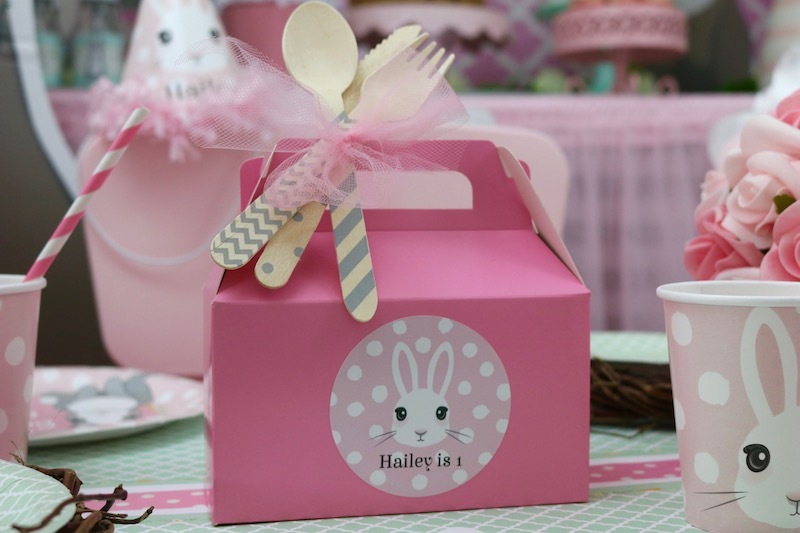 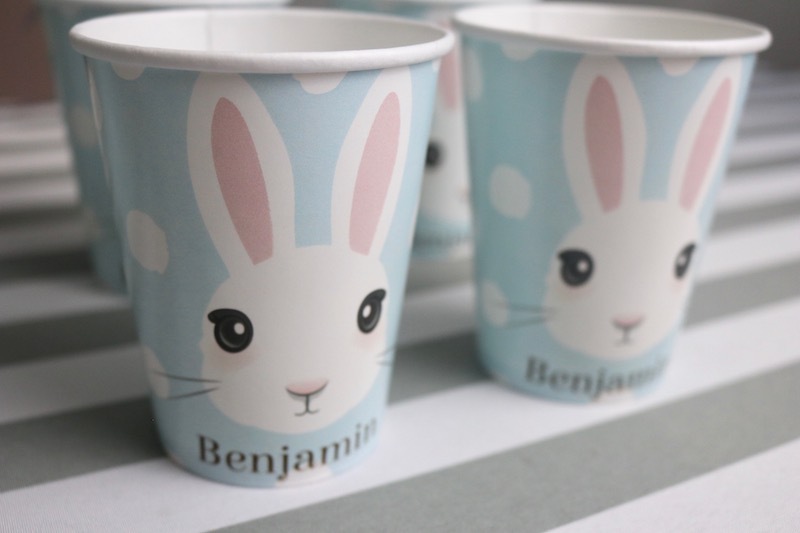 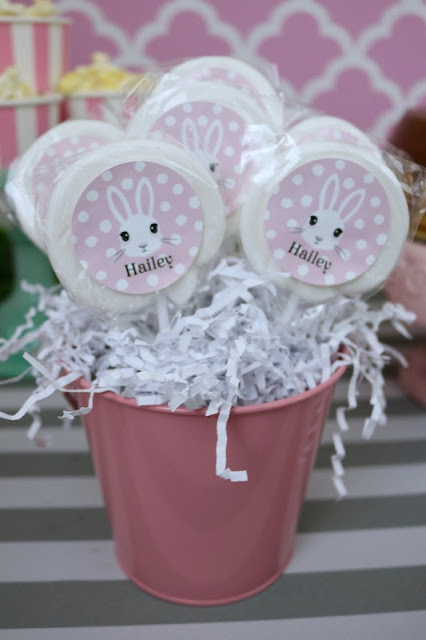 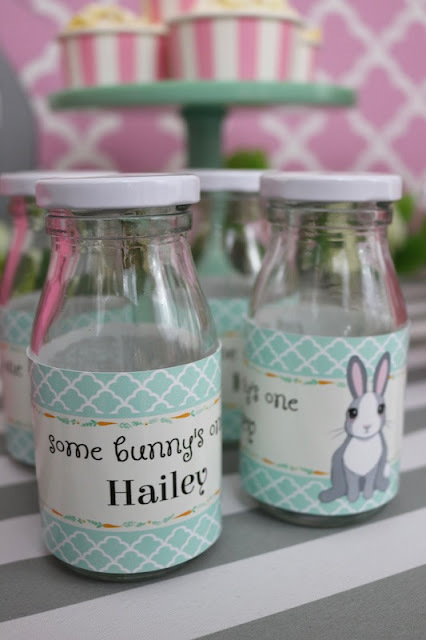 Pink Gable Boxes with Some Bunny's One Personalized Stickers can be used to hold your guest’s boxed lunches. 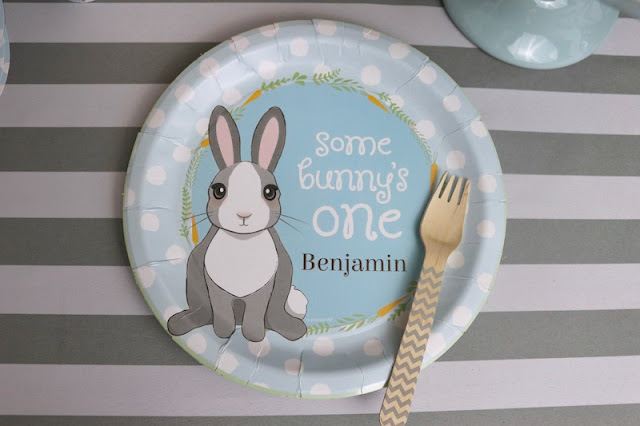 Don’t forget to tie on some Grey Stamped Wooden Cutlery! 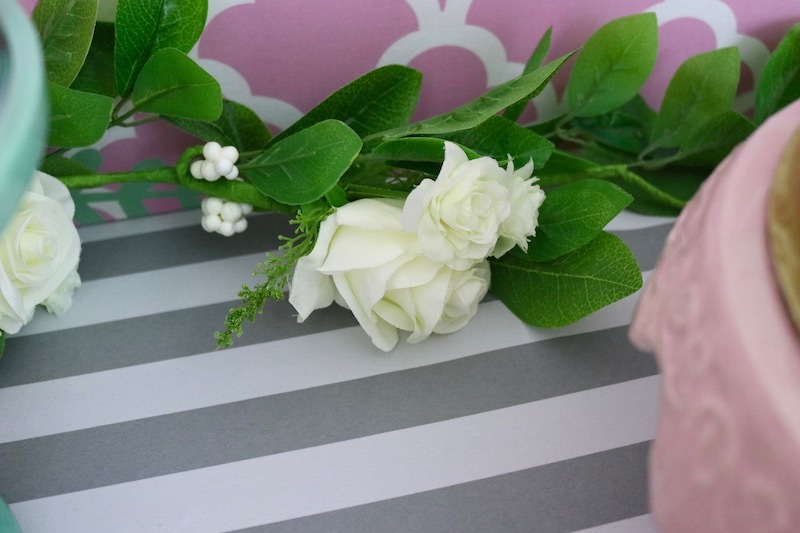 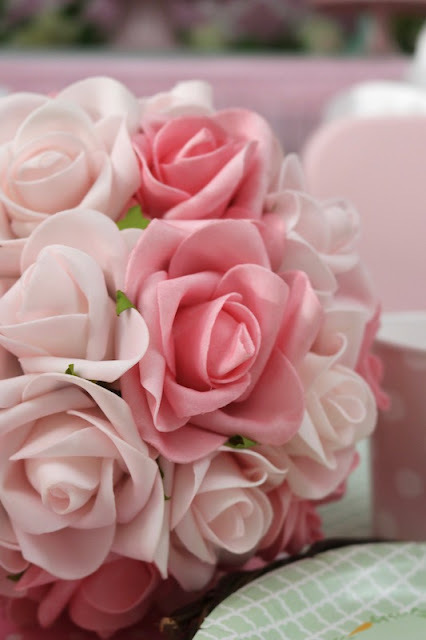 Looking to add some personal touches to your party table scape? 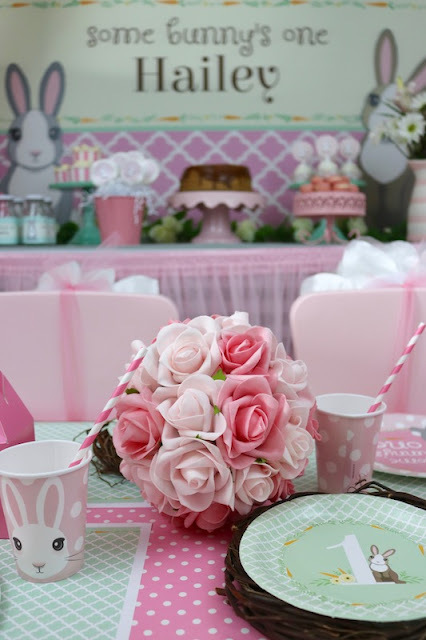 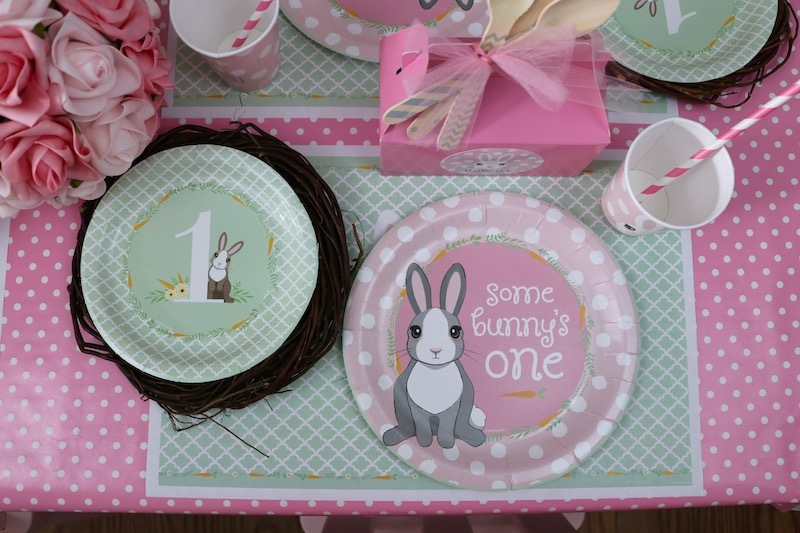 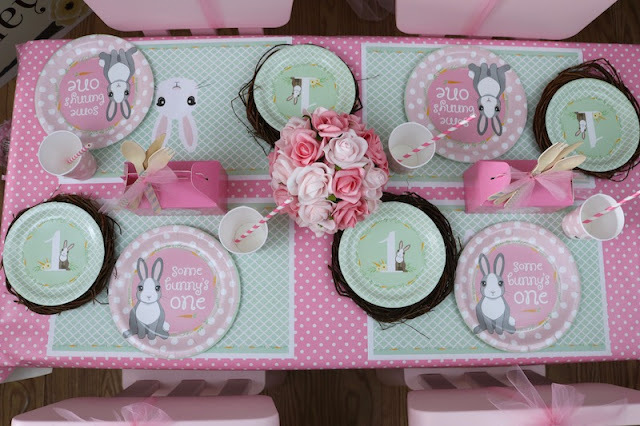 There's Some Bunny's One placemats, Dinner plates, dessert plates, and paper cups with cute pink striped straws. 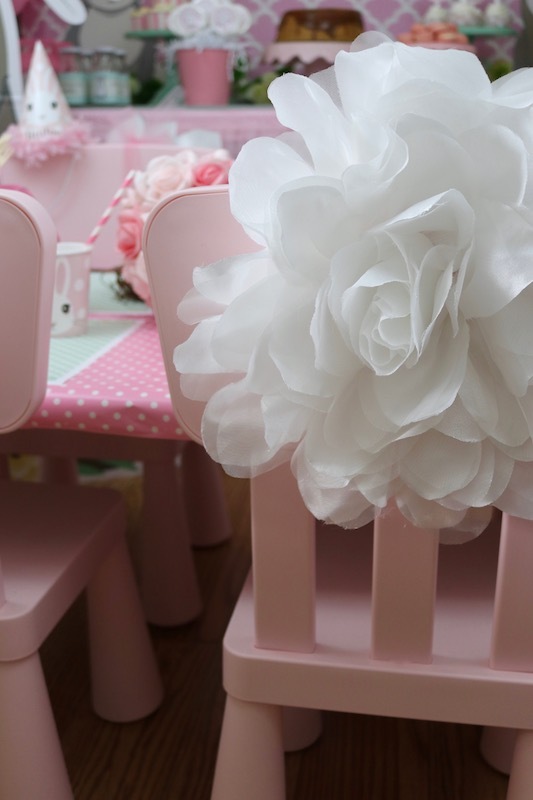 Your table will look so sweet and festive!